Apple said on Tuesday that profits held steady in the most recent quarter, with revenue growth in music, movies, apps and other services offsetting slumping iPhone sales, sparking a rally in shares of the California tech giant. Profit in the final quarter of last year was $20 billion, a dip of less than one percent, on revenue of $84.3 billion even as money from iPhone sales was down 15 percent from the same period in 2017. “While it was disappointing to miss our revenue guidance, we manage Apple for the long term, and this quarter’s results demonstrate that the underlying strength of our business runs deep and wide,” chief executive Tim Cook said in the earnings release. The update for Apple’s first fiscal quarter to December 29 was greeted with relief on Wall Street, as shares rallied 5.5 percent in after-hours trade. Services revenue reached an all-time high of $ 10.9 billion, up 19 per cent over the prior year. Apple also boosted sales of wearables and accessories by 33 per cent from last year. Cook has long emphasized the potential of that side of Apple’s business. “Our active installed base of devices reached an all-time high of 1.4 billion in the first quarter, growing in each of our geographic segments,” Cook said. Apple took a hit in the “Greater China” region, where revenue plunged almost 27 per cent, which had been expected following the company’s latest revenue warning. 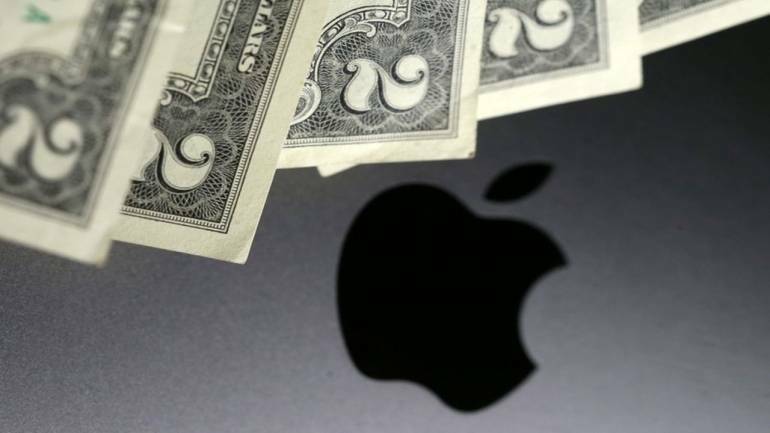 “While Apple is still a money-making machine, today’s uncharacteristic revenue decline symbolizes a company that is starting to run out of steam,” said Neil Saunders of the research firm GlobalData Retail. “Apple is fortunate in having a strong base of fans and many consumers who are bought into its ecosystem of services,” Saunders said.